Coffee is a morning mainstay for many people, but if you don't like caffeine or can't have it, things can get dicey when it comes to morning drinks. 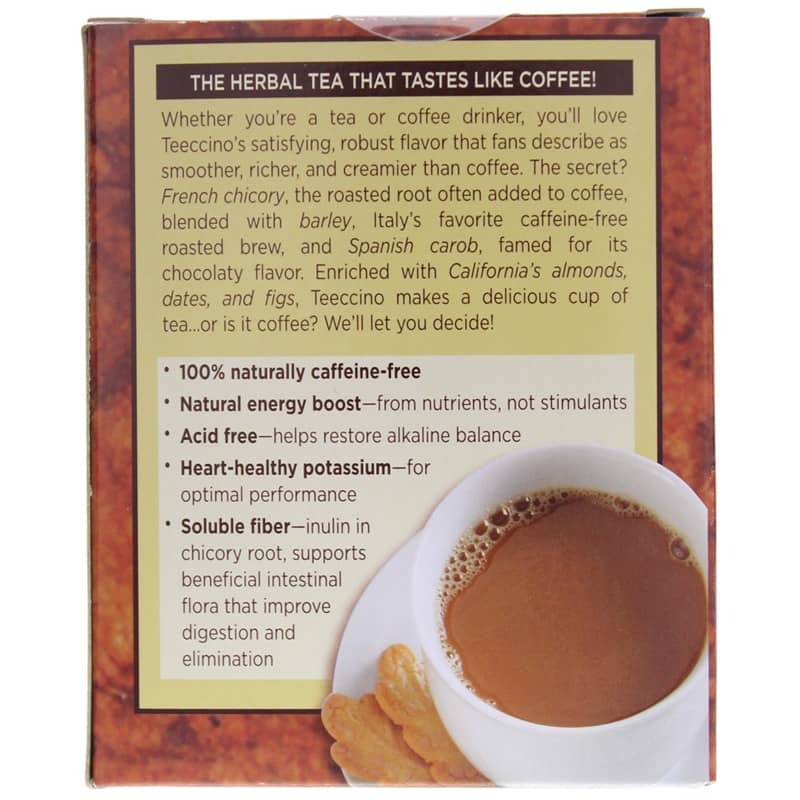 Few things may beat the taste of coffee, but Teeccino Herbal Coffee offers a product that may be just what you've been looking for. Hazelnut Tea is a medium roast herbal alternative to coffee. It is 75% organic and not only taste great, but also offers a range of health benefits as well. You'll love the buttery taste of hazelnuts and golden-roasted almonds that are sweetened naturally with dates and figs. 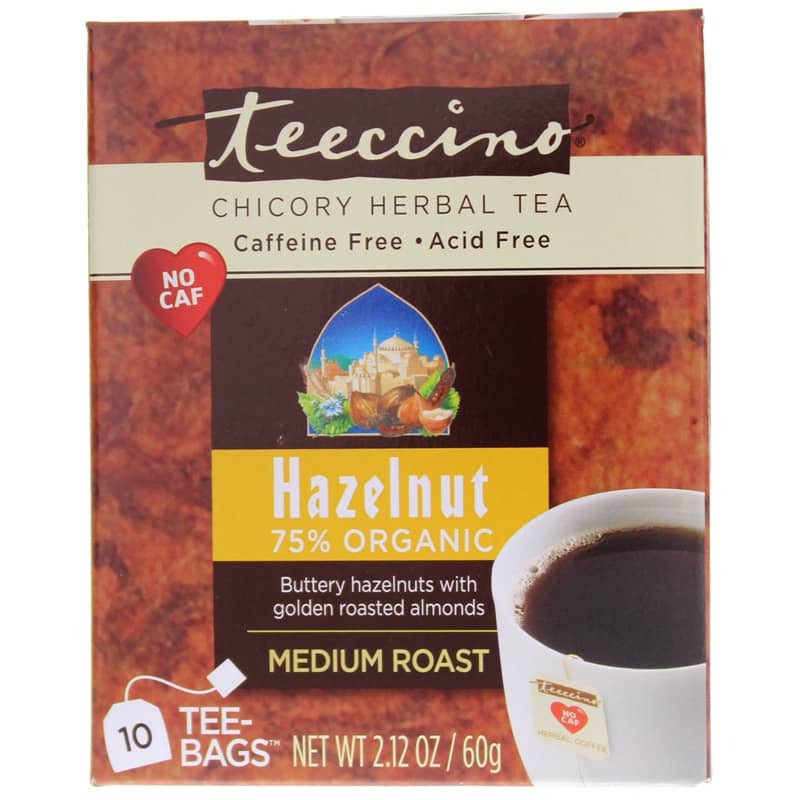 With Hazelnut Tea from Teeccino Herbal Coffee, you won't have to sacrifice taste for healthiness--you can have both! Plus, there are no stimulants to worry about. Get your morning energy boost the all-natural way. 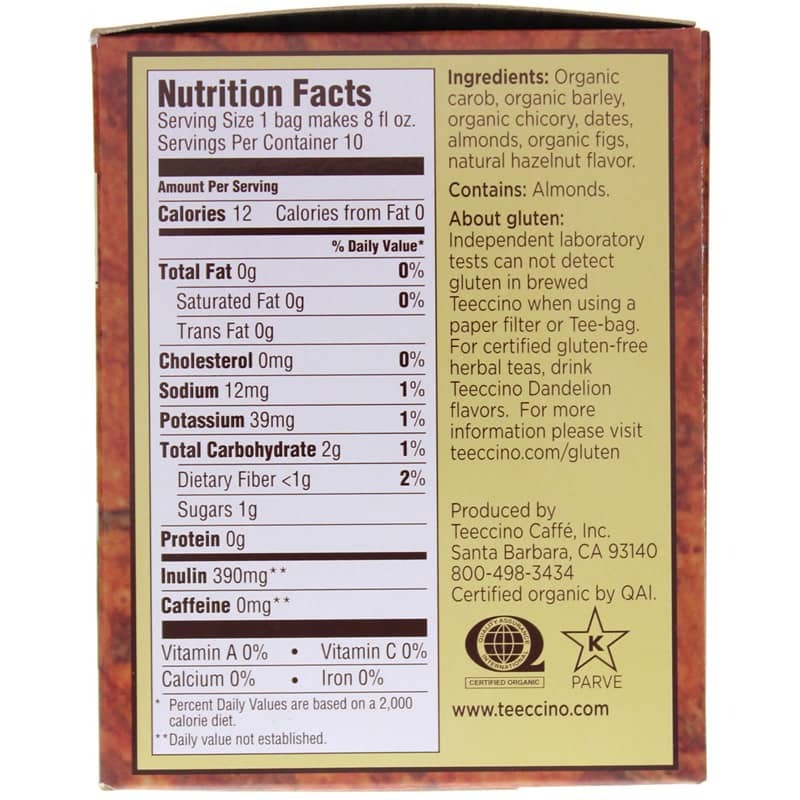 Give Hazelnut Tea a try today! Ingredients: Organic carob, organic barley, organic chicory, dates, almonds, organic figs, natural hazelnut flavor. Contains NO: caffeine, acid. Kosher. Before tearing, shake envelope at top. Pour 8 ounces of boiling water over the Tee-bag in a cup and steep for 3 to 5 minutes. Dunk the bag several times in the beginning for the best brew. Use 2 Tee-bags for a stronger brew in a larger mug. Add milk, non-dairy milk, and sweetener as you prefer. 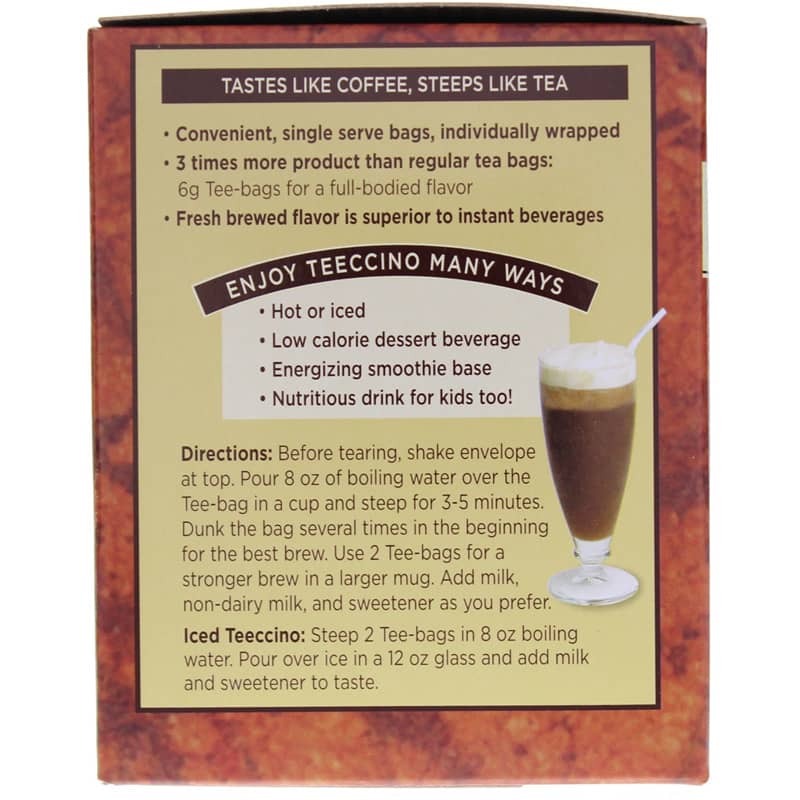 Iced Teeccino: Steep 2 Tee-bags in 8 ounces boiling water. Pour over ice in a 12 ounce glass and add milk and sweetener to taste. This tea smells as wonderful as it tastes. It also makes a great iced tea. Yum yum! I've been drinking teechini which I bought at Whole Foods. Decided to see if I could order online, and found it here. Ordered 4 boxes and they were here in 2 Days, free shipping. Great deal.